At Wanna Get Out Bail Bonds, our goal is to provide our clients with exceptional service no matter the time of day or night. We know that what you’re going through is difficult, but we want you to know that we’re here to help. Welcome to Wanna Get Out Bail Bonds. Why spend one unnecessary minute behind bars? Our local bail agents are here to help at any time of the day or night with 24 hour service. We provide fast and reliable service for bail bonds. We are located in Honolulu, but we proudly serve the entire island of Oahu. Regardless of the situation, we’ll help you understand and navigate the bail process, whether you are trying to facilitate your own release or get a loved one out of jail. No matter what you’re going through, a bail bondsman at Wanna Get Out Bail Bonds is here to make sure you get the help you need. When the judge sets a bail amount that is too high for you to make on your own, you need a bail bonding company. We provide DUI bail bond service, surety and transfer bonds with discreet, professional service. For most situations, surety bonds are the best and most cost effective solution. These bail bonds require you to pay 10% of the amount of the bail and we pick up the rest. Our local bail bond agents are here to help you get out of jail and provide additional support. The legal system and requirements for bail and court appearances can be confusing. Our bondsman will answer your questions and provide the information you need so you know what to expect and how to prepare. 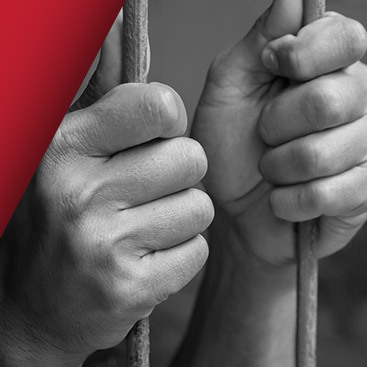 We offer free bail bond advice and we treat your situation with complete discretion. At Wanna Get Out Bail Bonds our goal is always going to be to make sure that each and every one of our clients is well taken care of. We know how stressful the situation that you’ve found yourself in can be, but the good news is that we’ll always be there to pick up the phone and lend a helping hand. It really is as simple as that. If you are looking for bail bonding companies in Honolulu or Oahu, Wanna Get Out Bail Bonds is here to assist you at any time of the day or night. Please browse our website to read more about our services, the bail process, and find answers to common questions. No matter the situation, we can help with 24-hour bail bonds. If you need a bail bond agent, click here to call us. We are available for your call 24/7.